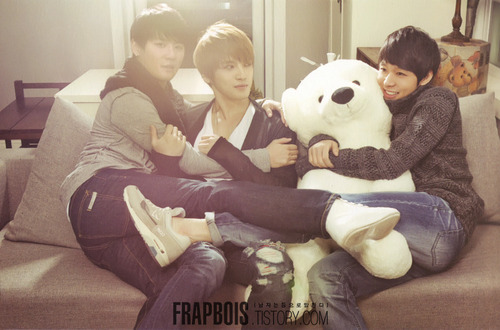 Chunie hugging a teddy bear...Junsu hugging Jae(?). I prefer to hug Jae * blush*. HD Wallpaper and background images in the JYJ club tagged: jyj hero jaejoong jae micky yoochun chun xiah junsu.